The highlight reels at the World Cup have been running hot with batsman smashing balls all over cricket stadiums in Australia and New Zealand. Teams and individuals have been racking up record totals and the crowd have loved it, whooping and cheering every time another ball is dispatched into the stands. With the benefits of bigger bats and smaller boundaries, the world’s best batsmen have been piling on the runs, hitting more than 450 sixes. In the previous 10 World Cups, no batsmen had ever made a double century and only once had a team cracked the magical 400-run barrier. 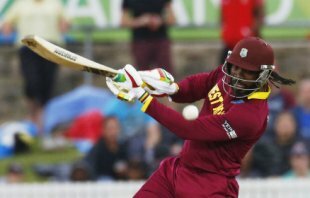 But in 2015, two batsmen, Chris Gayle (215) and Martin Guptill (237 not out) have made double hundreds. And the 400-run barrier has been broken three times. But for the bowlers, the World Cup has been hard toil. Only one bowler, New Zealand paceman Trent Boult, has taken over 20 wickets in the tournament. At the 2007 World Cup, by comparison, four bowlers took over 20 wickets. The International Cricket Council (ICC) chief executive Dave Richardson said the sudden expansion of Twenty20, cricket’s shortest and fastest-moving format, was clearly having a positive impact on other forms of the game. “I think the change in rules has helped, and the influence of T20 has impacted both ODIs and the way they play test cricket, so the batsmen are far more attacking,” he said on Thursday. But Richardson also admitted that the balance between bat and ball was shifting too much towards batsmen and the rules might have to be changed to give the bowlers more of a chance. He suggested that one possible rule change could be to allow teams to have five fielders in the outfield in last 10 overs, when batsmen typically score faster. Under the current rules, teams can only have a maximum of four fielders outside the circle. “In the old days you had one area you couldn’t defend, now there’s two and if a good batsmen is set as a bowler you’ve got very little prize (for the bowlers),” Richardson said. “One of the things we might look at is allowing an extra fielder out of the ring in the last 10 overs, remember we were worried about that middle period of the game that became boring where someone would score a run a ball 50 but no one remembering one shot. 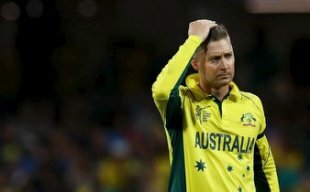 Australia captain Michael Clarke praised the “exceptional” Steven Smith after his side beat defending champions India by 95 runs on Thursday to set a World Cup final with New Zealand. 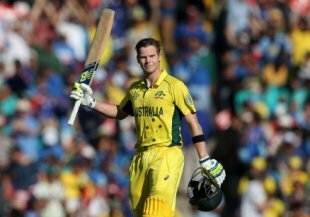 Steven Smith’s 105 and his second-wicket stand of 182 with opener Aaron Finch (81) powered Australia to 328 for seven after Clarke won the toss. India were only briefly in the hunt and were eventually dismissed for 233, despite a run-a-ball 65 from captain Mahendra Singh Dhoni, who produced a match-winning fifty in the final against Sri Lanka four years ago. “I feel really excited. Smithy was exceptional once again, and I was really proud of the execution of our bowlers,” said Clarke after a convincing win at the Sydney Cricket Ground where the impressive Mitchell Starc took two for 28 in 8.5 overs and James Faulkner three for 59 in nine. Sunday’s final in Melbourne will give Australia the chance to avenge their one-wicket loss to New Zealand in a pool-phase thriller at Auckland’s Eden Park last month. 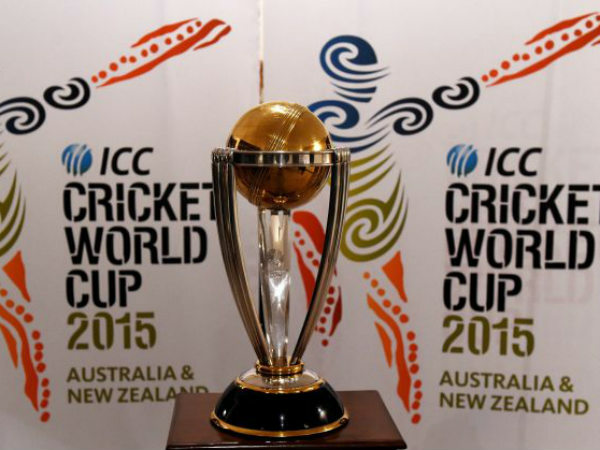 “Losing to New Zealand really gave us a kick up the backside,” said Clarke. “Mentally I think the guys are ready to walk into the final. Smith added: “We thought 330 was around par, we knew we had to bowl and field well and the boys did a great job, so roll on Melbourne. It’s nice to contribute to a few wins. India made a bold start to their chase, with the highest score ever made by a side batting second to win a one-dayer at the SCG the 334 for six made by Australia against England in 2011. But once opener Shikhar Dhawan holed out for 45 off Josh Hazlewood, India struggled and even Dhoni’s brisk innings came too late to turn the tide. “Overall Australia played very good cricket. Over 300 is a very big score to chase, but I thought it was just over par,” said Dhoni. “Shikhar Dhawan was batting freely, he didn’t need to play the big shot. It was too many for me to chase. But with India having an enjoyed an unbeaten run to the semi-finals, Clarke said: “Huge congratulations to MS Dhoni and his team, I think they’ve competed really well in this World Cup. Australia put themselves in line for a fifth World Cup title with an emphatic 95-run semi-final victory over defending champions India in Sydney on Thursday. “I feel really excited. Smithy was exceptional once again, and I was really proud of the execution of our bowlers,” said Australia captain Michael Clarke. 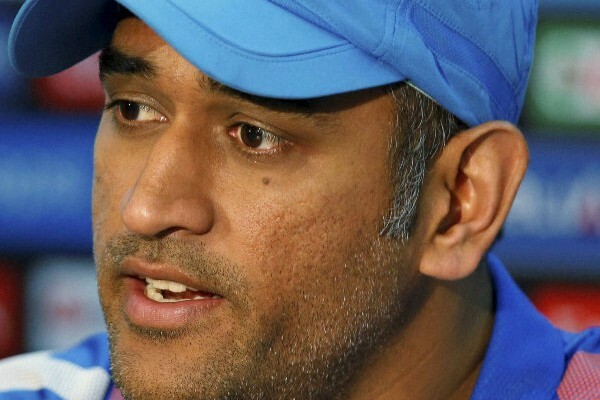 Dhoni admitted the lower-order batting had let the side down. A sell-out crowd of some 42,000 at the SCG were treated to good cricket on a grassless, even-paced wicket that enabled batsmen to play shots freely. Sharma celebrated his partner’s luck by hooking Johnson for a six and Dhawan welcomed Faulkner to the attack in the 10th over with two boundaries and a glorious six over mid-wicket. Dhawan’s 45 off 41 balls contained six boundaries and a six. The dismissal continued the Indian vice-captain’s lean run in the tournament where 46 against South Africa was his best effort after a match-winning century against Pakistan. India’s fate was sealed when Dhoni himself was run out in the 45th over as Maxwell broke the stumps with a smart throw from mid-wicket. When New Zealand made a trip to the MCG in October to get a feel for the venue as part of their World Cup preparation, there was a notable absentee from the group. Grant Elliott was not among the 20 who tried to absorb the ground in the hope they would return. They have made it back, for their first World Cup final, in the most thrilling of ways, and Elliott was the man to carry them there with one of the finest closing innings in one-day history. “He did say when I saw him at the end, ‘does this mean I get to come to Melbourne? '” Brendon McCullum said. But despite not being part of the New Zealand squad until the World Cup 15 was named, McCullum insisted it was not a last-minute change of heart. In coffee shops and on the streets, cricket was being talked about, people trying to make sense of everything that had happened. “Were you at the game?” was a common question. It will be one of those matches where the 40,000 present at Eden Park swells to many more in years to come. Elliott, a self-confessed quiet man who does not like the spotlight, was taking it in his stride as players milled around their Auckland hotel awaiting departure to Melbourne. “Grant is pretty calm,” Hesson said. When Anderson departed, 46 were needed off five overs. Elliott then put AB de Villiers over deep midwicket, but still it came down to 23 off two and then 18 off eight balls before Elliott cracked Morkel through the covers and was dropped next ball in the deep. Both Elliott and Vettori were alert in running to the wicketkeeper before the final blow. After the immediate outpouring of emotion, from the players and the crowd, the team stayed behind at Eden Park, spending time with the South Africans before returning to their hotel and continuing to reflect on what they had achieved. “We stood around and the guys gave their thoughts,” Hesson said. “Heartfelt emotion, what it meant for the guys to get to where we have done. We’ve got a chance to put on good show on Sunday, and we’ll prepare for that, but also realise we’ve achieved something pretty special. And this time Elliott will be on the plane with them to Melbourne. Home advantage has helped carry New Zealand through the World Cup, amid frenzied atmospheres that peaked during the astonishing semi-final against South Africa. Now, though, the players have left the feeling of familiarity behind to play the biggest match of their lives. And the contrast in venues does not come much greater than Eden Park to the MCG. Some of the shortest boundaries in the world will be replaced by some of the longest. Both grounds have hosted four matches in the World Cup: the Auckland sixes count is 56, Melbourne 19. However, to suggest that it is a game-changing difference is to do injustice to New Zealand’s batting. Martin Guptill’s 110-metre six that landed on the roof in Wellington would have comfortably made the MCG stands and Brendon McCullum will just see it as another challenge. Still, there will be a new test presented to the batsmen. New Zealand visited the MCG in October to get a feel for the venue, but walking round an empty ground cannot start to replicate what they will be greeted with on Sunday. The last time they played in Melbourne was 2009 and they were guided to victory by an unbeaten 61 from Grant Elliott, the one New Zealander not to make the planning trip last year. Six of the New Zealand side from that day will, barring injury, play the final. 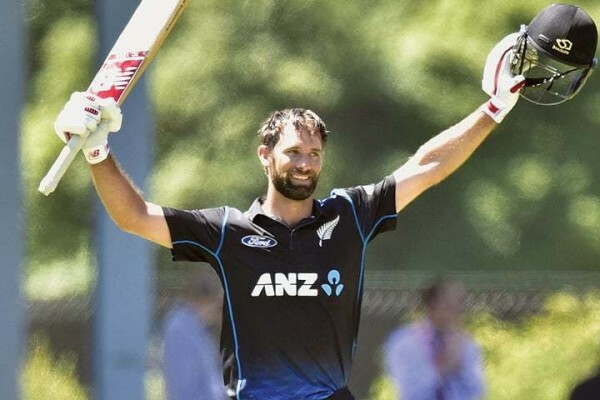 Alongside Elliott, there was McCullum, Guptill, Ross Taylor, Daniel Vettori and Tim Southee. McCullum faced 75 balls for his 43; in his current mindset a 75-ball innings would leave him not far short of 150. Luke Ronchi, meanwhile, will bring his Australia and Western Australia memories with him, which amounts to 14 matches on the ground. 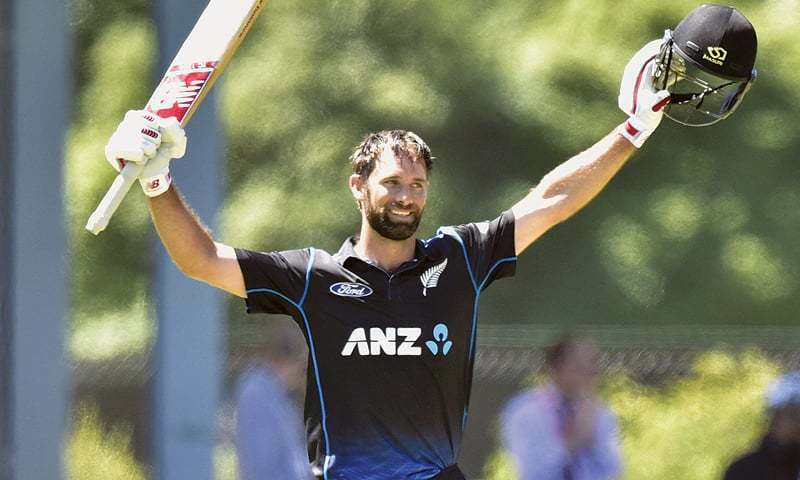 For four of the likely starting XI – Kane Williamson, Corey Anderson, Trent Boult and Matt Henry – it will be their first appearances at the MCG. Vettori, in what is likely to be his final international appearance, will be a key player. Such is his longevity he has played eight times at the MCG from 1997 to 2009, and though he only has eight wickets his economy rate is 4.39 – albeit before the current fielding restrictions. In the 2009 match, he was part of a twin-spin attack alongside Jeetan Patel and bowled his allocation for 35 runs. Batsmen will need to adjust their sights and running between the wickets will become as important as clearing the rope. As a rudimentary example, there have been 26 threes run at the MCG in four matches compared to nine at Eden Park. That also impacts the fielding, the teamwork and aggression, which have been markers for New Zealand. Cutting off twos becomes a tough task for the deep fielders and you can expect plenty of use of the relay throw. And that’s before you factor in the ‘advice’ that will no doubt be offered from the other side of the fence. For the players, adjusting their own games is something they have control over. But one aspect of the final that is out of their hands will be the support-base. Whoever had won the second semi-final would have had the majority of the crowd behind them. Now that Australia have made it, New Zealand can expect a hostile welcome especially after the previous meeting at Eden Park. There will not be a full house roaring their support for New Zealand, as there was that day or in the semi-final, though significant Kiwi backing is expected. Air New Zealand have added an extra charter flight on Sunday morning to ferry fans across the Tasman – the return flight arriving in Auckland at 7.30 am on Monday, in time for work – while Jetstar have said “half their flights” from New Zealand to Melbourne are sold out. Still, a few planeloads of people do not make much of a dent in a 90,000-seater stadium. Never mind that they are on Australia’s patch this time, New Zealand’s performances in this World Cup – and especially the semi-final – mean they will have no fear. The MCG provides a vast challenge, in every respect, but the ground alone will not decide the World Cup. 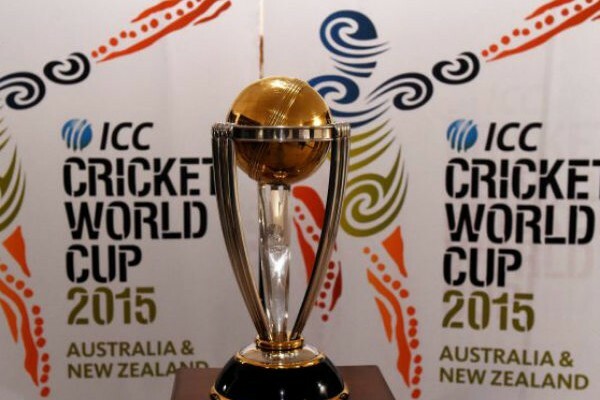 All quarter-final, semi-final and final matches of ICC World Cup 2015 have been allocated reserve days. But if the game is not completed on the scheduled day, the contest shall resume from the same point where it had stopped. There is no option to start afresh. The group stage ended yesterday (March 15) and we have 8 teams (India, New Zealand, Australia, South Africa, Pakistan, Sri Lanka, Bangladesh and West Indies) in the knockout phase. The quarter-finals begin on March 18. There were no reserve days for Pool matches. But that will not be the case for the all-important knockout encounters. # There shall be one reserve day allocated to the quarter-finals, semi-finals and final on which an incomplete match shall be continued from the scheduled day. # Every effort will be made to complete the match on the scheduled day with any necessary reduction in overs taking place and only if the minimum number of overs necessary to constitute a match cannot be bowled on the scheduled day will the match be completed on the reserve day. # If the match has started on the scheduled day and overs are subsequently reduced following an interruption, but no further play is possible, the match will resume on the reserve day at the point where the last ball was played. Match starts at 50 overs per side and there is an interruption at 19 overs. Overs are reduced to 46 overs per side and play is about to resume. Before another ball is bowled it rains and play is abandoned for the day. As the match didn’t resume under the revised overs, the match should continue on the reserve day at the original 50 overs per side with the overs reduced if necessary during the day. The same start as in example 1 i.e. match starts at 50 overs per side and there is an interruption at 19 overs. Overs are reduced to 46 overs per side and play is about to resume. This time, play starts and after an over has been bowled it rains and play is abandoned for the day. As the match has resumed, it is continued on the reserve day at 46 overs per side with the overs reduced if necessary during the day. # These matches shall always be regarded in the records as a single match. Note: If the reserve day is utilised, the hours of play on the reserve day are the same as the scheduled hours of play on the scheduled day, including any provision for extra time. The amount of extra time available on the reserve day cannot exceed that which was available on the scheduled day. MS Dhoni today swapped his cricket bat with a tennis racquet for a unique training method ahead of their ICC World Cup 2015 semi-final against Australia. 10 facts about the match To prepare his batsmen to handle bouncers, Dhoni has come out with an innovative idea and he was seen using it at Sydney Cricket Ground (SCG) on Monday. 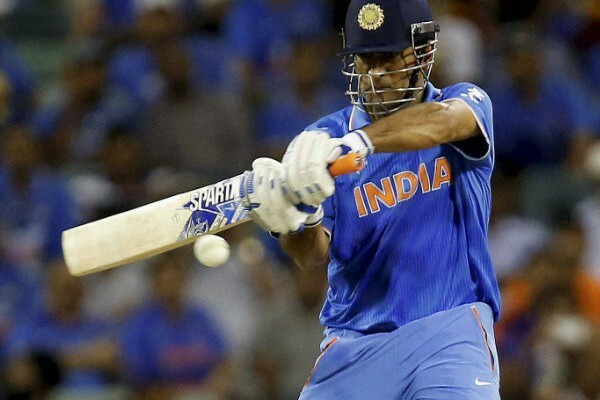 Dhoni’s tennis racquet formula for semis Dhoni’ has a new training method for World Cup semi-final. “India captain MS Dhoni walked over to the nets with a tennis racquet and tennis ball in his hand,” BCCI’s official website reported today on how India were preparing for the big semi-final on Thursday (March 26). “Dhoni served a few with the tennis ball to Raina to which the left-hand batsman responded with a few leaves and pulls. 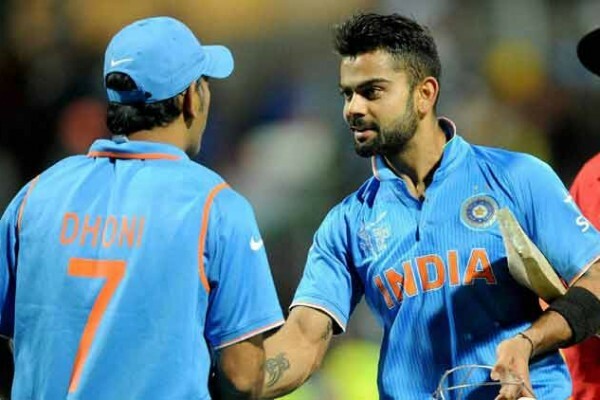 This went on for close to 15-20 minutes and at the end of it Dhoni had a few words of advice for his teammate,” the report added. The captain and his batsmen are leaving no stone unturned to put it past Australia on Thursday. Two more days of practice and we will have the on-field action unfolding at SCG on March 26. Will Dhoni’s tennis racquet formula yield results on the big day? India’s quick bowlers are having some fantastic luck yet they might not have the same effect on Australia’s batsmen as Wahab Riaz had, Joe Dawes, the previous India rocking the bowling alley mentor, has said. The left-handed Wahab tried Australia’s top order, particularly Shane Watson, with a threatening spell in the quarter-last in Adelaide, presenting their powerlessness to short deliveries bowled at pace, a shortcoming India would have observed, Dawes said, however India’s absence of a left-armer in their positions may work for Australia. The 42 wickets imparted between India’s pace trio of Mohammed Shami, Umesh Yadav and Mohit Sharma is one of the prime explanations behind India’s unbeaten run in the competition. Dawes said that one of them could endeavor reproducing a left-armer’s edge by playing round the wicket. 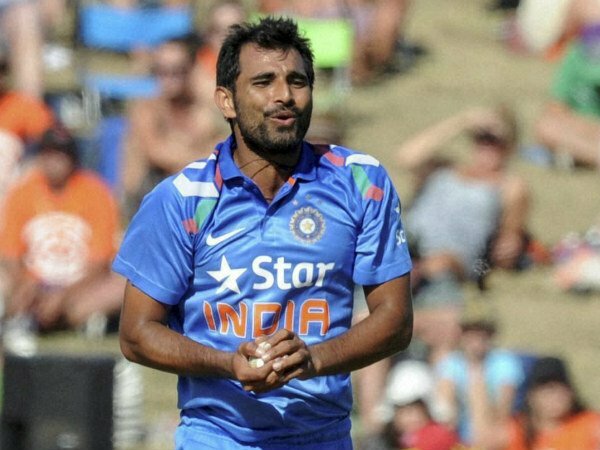 India’s bowlers will likewise need to beat the “mental harm” they continued amid an intense summer. India lost the four-Test arrangement 2-0 and were not able to make it to the finals of the tri-arrangement that peculiarities Australia and England. “Amid the Test arrangement they truly battled for consistency,” Dawes said. “They played some great balls, then truly let the weight off. It would seem that perhaps adjusting to the conditions and getting their lengths right they’ve truly enhanced their consistency so they’re building weight now. “MS [Dhoni] drives them well in one-day cricket and they’ve kind of got on a roll. Despite everything I think under weight they’ll be tried. I’m not certain they’ve been tried significantly under weight yet. 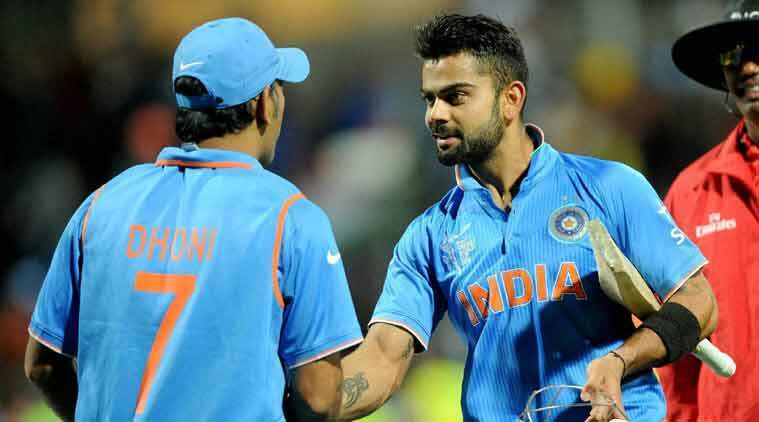 The turnaround commenced with India’s win against Pakistan in the opening match. From that point forward, they have released each resistance in transit to the semi-last, an accomplishment they had never accomplished previously.